The ideal way to transport items to and from the beach. 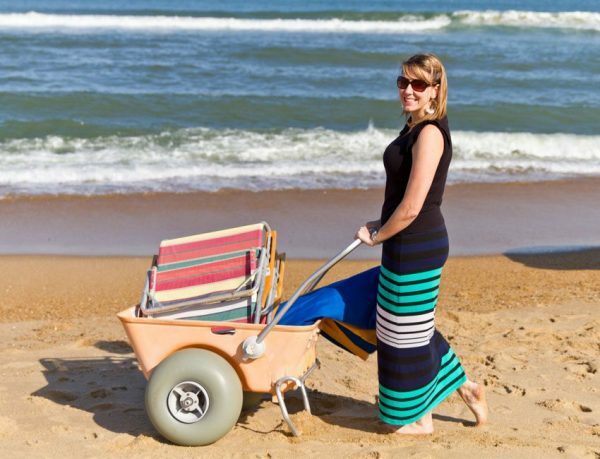 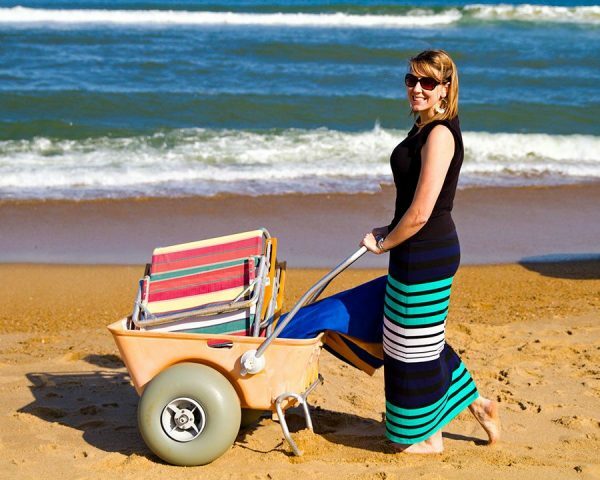 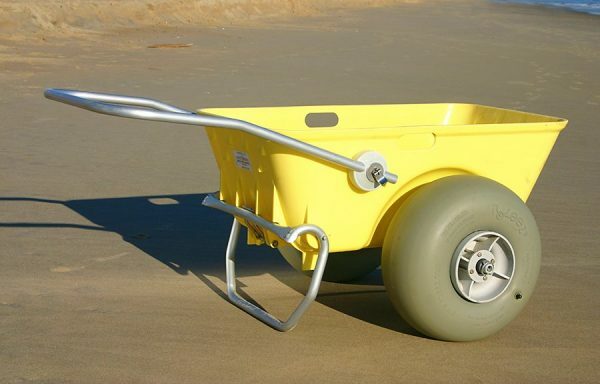 This cart features oversized wheels perfect for effortless maneuverability on the sand. 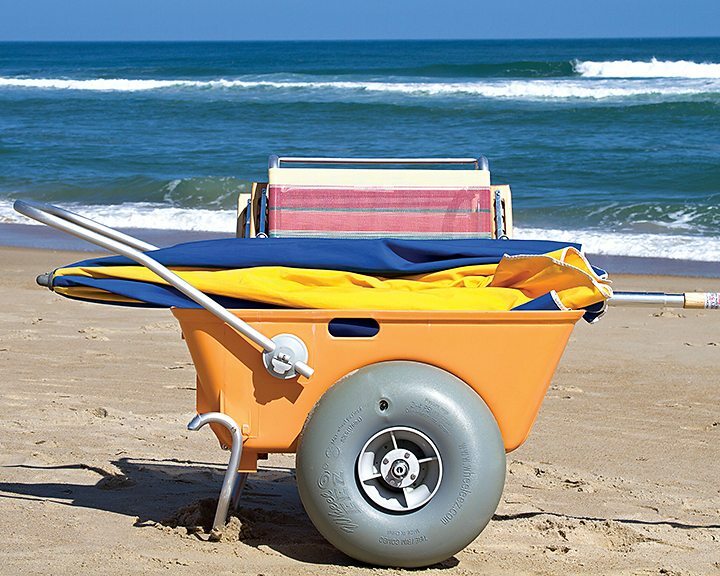 Our beach utility cart measures 36” in length, 22” wide, and 13” deep completely ideal for transporting beach equipment to and from your favorite beach spot.